wine, stunning views – sit back and allow us to take care of the details. Cable Bay boasts elegant and relaxed dining, two restaurants, two private event rooms, a cellar door and onsite winery all in one. 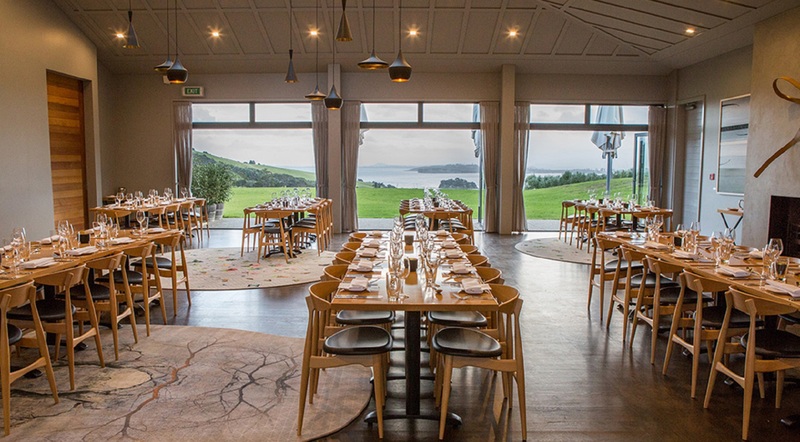 Located on a picturesque vineyard with stunning views overlooking the Hauraki Gulf, we offer the perfect space for a wide range of events. We will work with you to create a bespoke experience for your guests – whether you are organising a retreat, strategy/team building meeting, hosting guests or celebrating a special milestone. 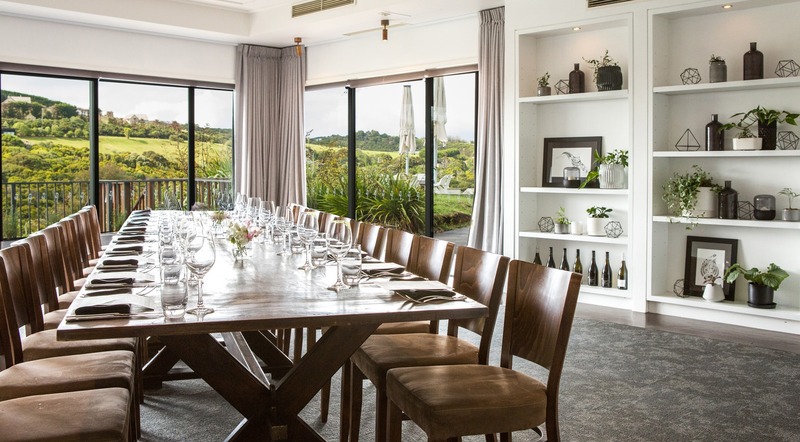 If you’re looking for a Waiheke venue with a difference – one that goes the extra mile in service whilst offering outstanding food and wine – then Cable Bay is the perfect venue for you. Our skilled and professional team works together effortlessly to make you and your guests feel at home and deliver a flawless event. Our Events Manager is happy to accommodate your specific requests or take a brief and design something unique just for you. Venue hire varies depending on your requirements. Please contact us for more information. Our luxurious and elegant bistro has large windows that open out to stunning views across the lawn and the bay. This spectacular reception room was renovated by award-winning architects, Fearon Hay. With pendant atmospheric lighting and banquet tables, you can opt to create your own look by adding flourishes and embellishments, or simply enjoy the room’s stylish surrounds with minimalist elegance. The room also benefits from a beautiful roaring fire, creating a cosy haven in the colder months. The bistro is available for exclusive hire and can seat up to 80-120 guests comfortably, with space leftover for canapés, drinks and perhaps a spot of dancing later in the evening. Our elegant Motukaha Room which is large and spacious, offers beautiful bay and rural views through a large corner windows. It benefits from a private balcony that connects to the Verandah, creating a wonderful indoor-outdoor flow and an additional space to relax in between courses. Whether you are joining us for a birthday celebration, corporate lunch or special occasion, this beautiful room will create the perfect backdrop for your event. 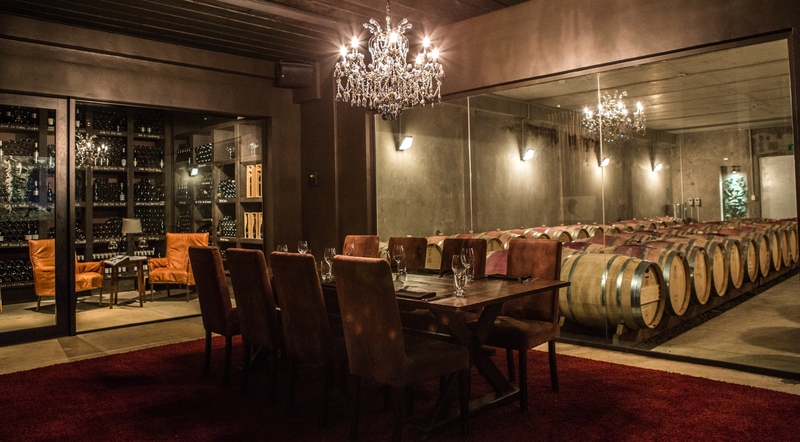 Seating up to 36 guests, the space also has an integrated sound system to create your own ambience.